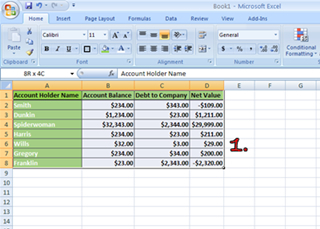 Okay, this one I love for one simple reason—it makes putting tables from Excel into PowerPoint easy. I have lost count of how many times I have pasted a table into PowerPoint from Excel that got all messed up and it required all kinds of editing. There may be an easier way (like embedding) but I just like the idea of pasting it into a document and driving-on. 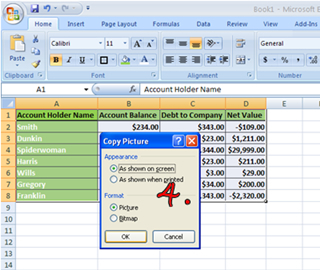 This feature will allow easy use of Excel in a PowerPoint--fast and easy, just how I like it! 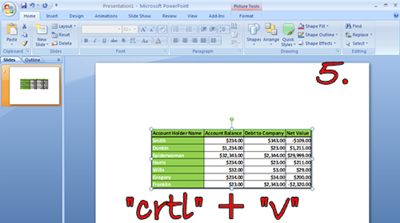 Select the cells that you want to move to PowerPoint. Click on the “Home” tab and then click “Paste”. 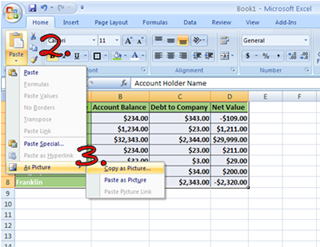 Move to the bottom of the drop-down menu and hover on “As Picture” until the side-menu appears then click on “Copy as Picture”. This is when a friendly dialog box will appear where you need to select “As shown on screen” and then select the “Picture” option. Open PowerPoint and tap out the magical “Ctrl” + “V” keys and the trick is performed—the image appears. Oh, yea, computer deficient people are not aware of “Ctrl” + “V” and that it pastes the last item on your clipboard automatically, so another crusade for the savvy is to assist in getting that shortcut well known! Oh, yes, also I am on the “Ctrl” + “C” equals copy selected item crusade as well.